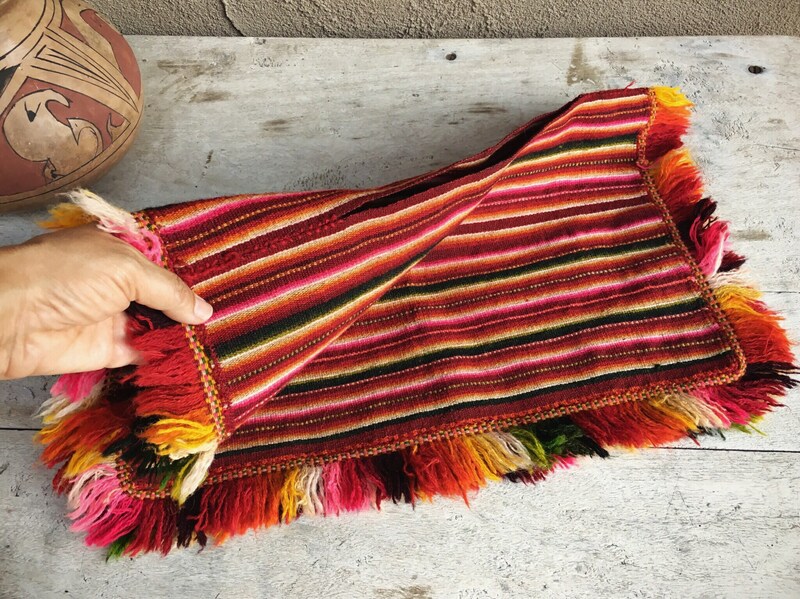 This hand woven huipil is a small size, likely made for a child or, as it is vintage and authentic, could have been made for a Mexican woman of small stature. 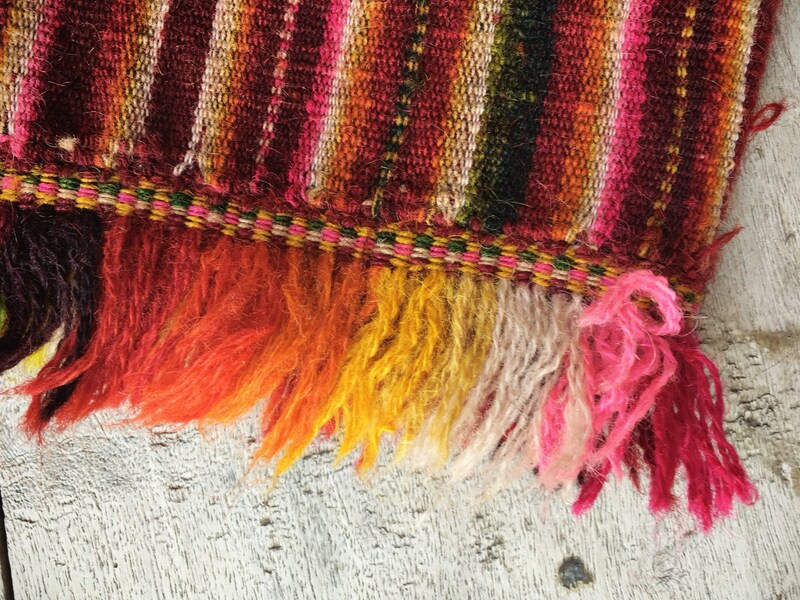 This is from the southern Mexico region or Guatemala, and it is woven of wool on a loom. 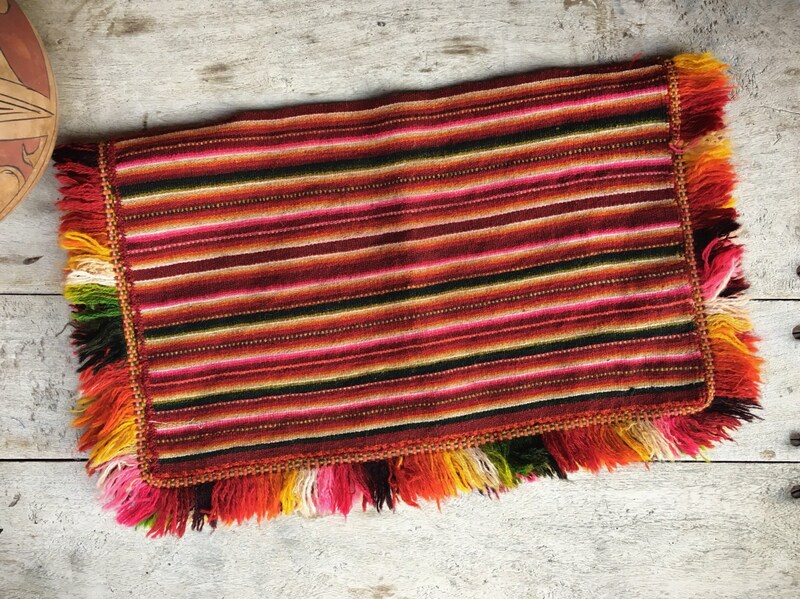 It would make a beautiful wall hanging, as many of these older huipils are preserved in that way. Of course, for those who would want to wear, just keep in mind that it is a very small size. 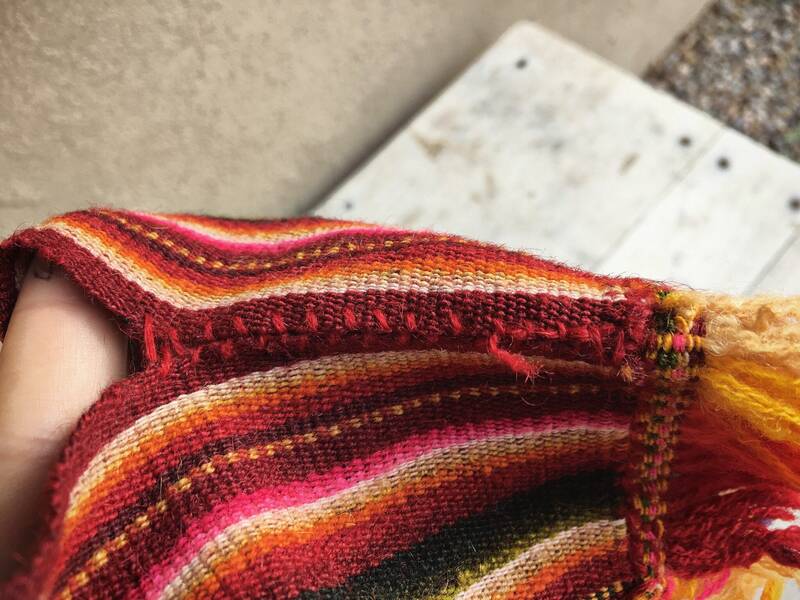 It is short and meant to wear over something underneath, likely a white or solid colored dress. 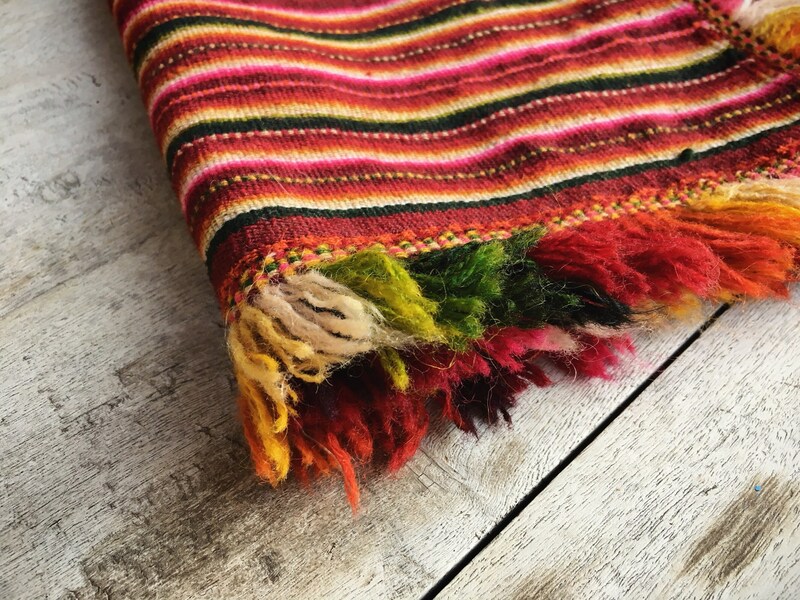 No embroidery added to the weaving, just vibrant striped design and the threads cut at the ends to create a fringe all the way around. 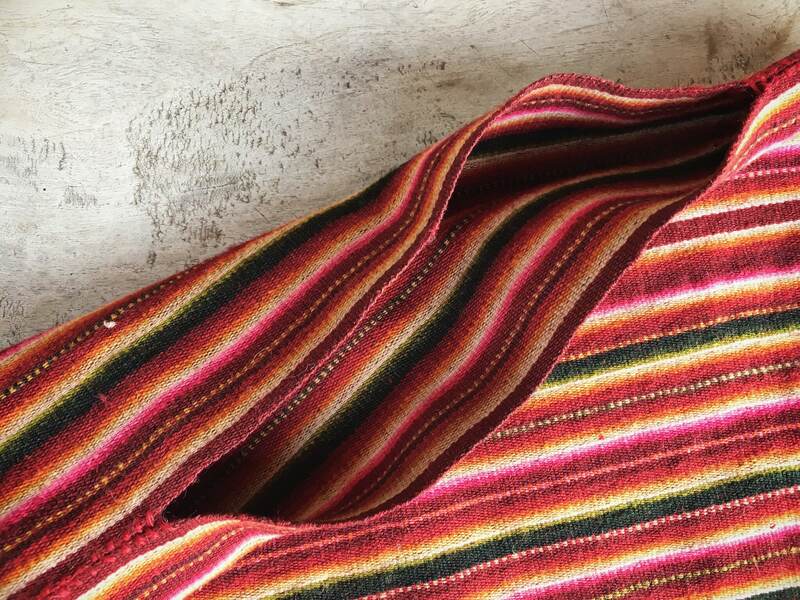 The neck closure is simple yarn, some of which has been pulled and loosened from wear. Measures 20" across including fringe and closer to 17-1/2" not including fringe. Length is 12" including fringe and 10-2/3" without. Head opening is just over 10" wide. See Photo 4 for close up of the yarn that has loosened from putting over and taking off of head. Otherwise in good condition overall. A beautiful piece of wearable art. 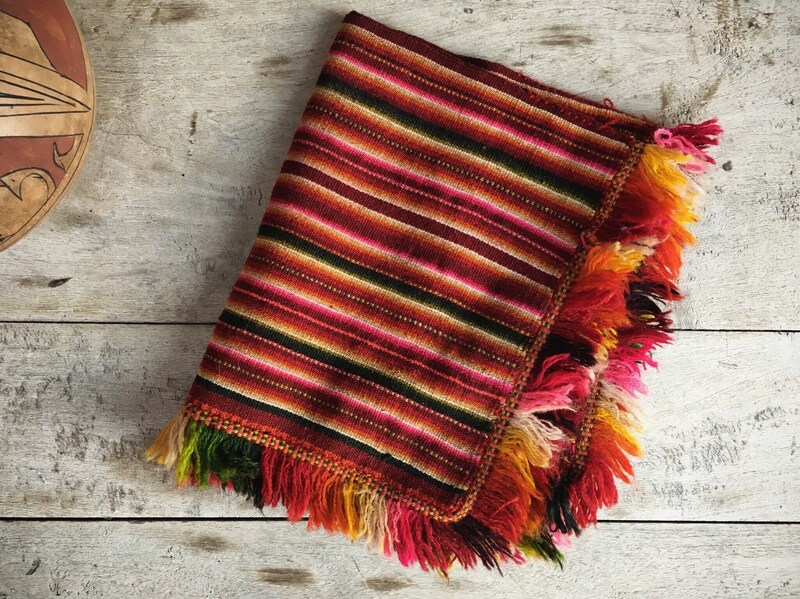 Beautiful item (in fact a bolivian ponchito from Tarabuco). Thank you.